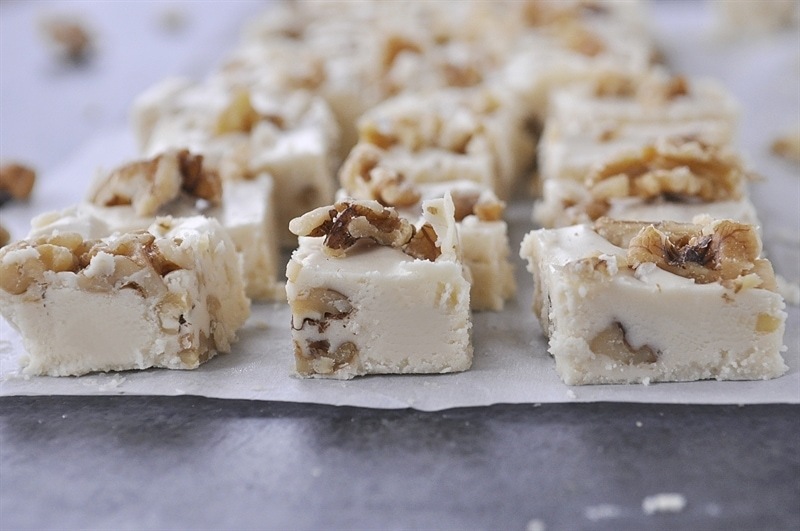 Maple Walnut Fudge is the perfect thing for your holiday goodie plate. 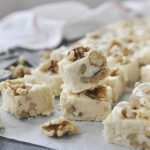 Maple Walnut Fudge is creamy, delicious, easy to make and the perfect holiday treat for the nut lovers in your life. 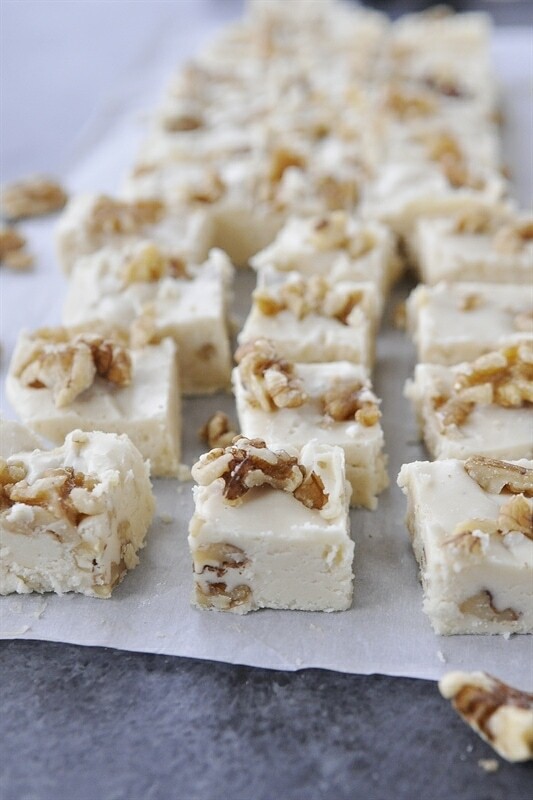 If you are looking for a delicious fudge recipe to give to friends and neighbors as well as enjoy in your own home, skip the traditional chocolate fudge and try this delicious maple walnut fudge. The holidays are always accompanied by fudge at our house. My mom has always been the fudge maker in our family but she has handed down her old fudge making pot to me so I guess I’m in charge now. Growing up, the holidays were always more about candy making than cooking baking at our house. My mom was famous for her rocky road fudge which, like today’s maple walnut fudge, also uses walnuts. 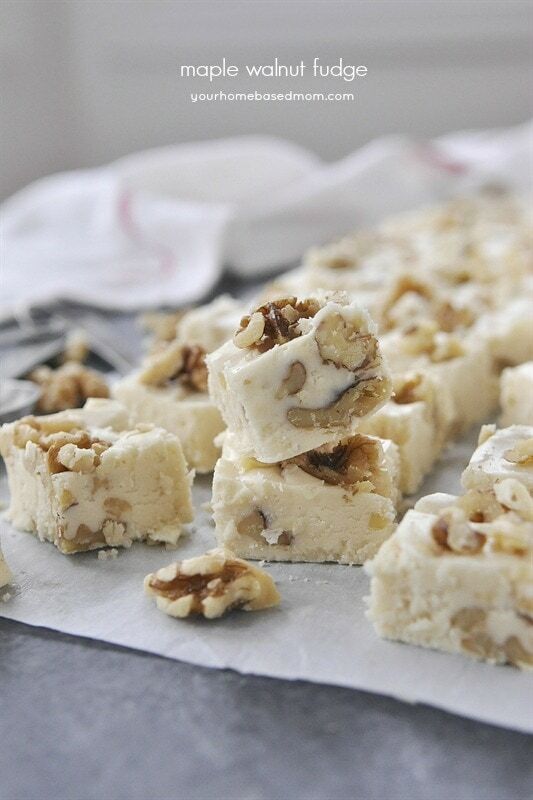 When it comes to fudge making, walnuts are always my nut of choice. They are a perfect compliment to the maple fudge. The trick to successful fudge making is a good heavy pan and lots of stirring. No candy thermometer is needed for this recipe. I line my 9 x 13 pan with parchment paper to make the fudge easy to remove from the pan. After chilling, just lift up by the paper to remove the fudge and then cut into pieces. 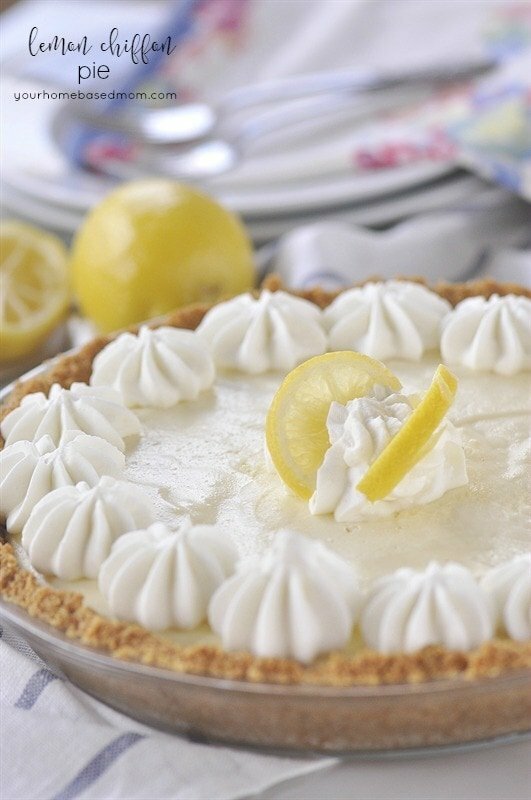 This recipe uses maple flavoring or Mapleline which you find in the baking aisle. After coming to a boil, let it stay at a rolling boil for 5 minutes. Add in your marshmallows, white chocolate chips, maple flavoring and walnuts and pour it into your parchment lined pan. 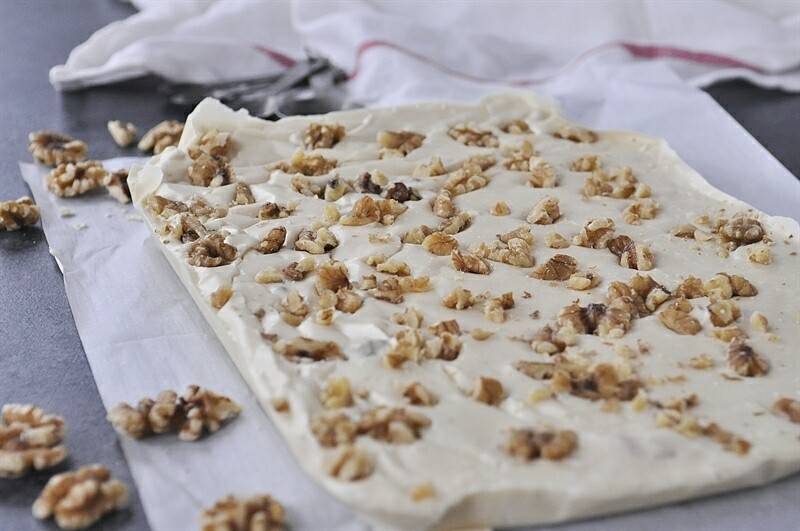 I like to sprinkle the fudge with even more walnuts on top, gently press on them so that they stick to the fudge. Then just refrigerate for about an hour to allow it to set up. I love adding fudge to my holiday cookie plates I giveaway each year. Fudge keeps better and longer than cookies and people are always so pleasantly surprised with something other than cookies. Don’t get me wrong though, I love a good cookie plate! I adapted this recipe from one of my other favorite fudge recipes and flavor combos, White Chocolate Peppermint Fudge. Note: I originally made this recipe with real maple syrup but decided I prefered Mapleline for a stronger maple flavor. When you add the Mapleline your fudge will be a different color, a very light tan color rather than the white color that is pictured. 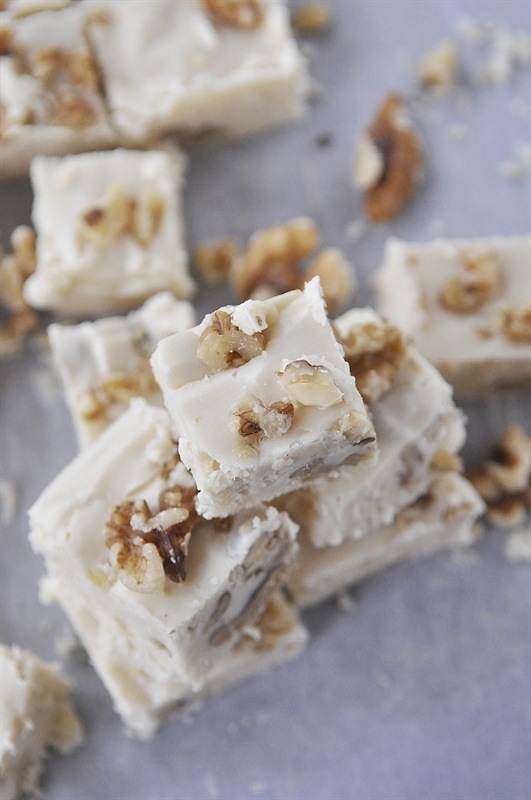 Delicious and rich maple flavored fudge with walnuts. Line a 9 x 13 pan with parchment paper so that paper hangs over the edges of the pan. In a large, heavy pan, melt butter, sugar and milk together. Cook over medium heat, stirring constantly, until it comes to a rolling boil. Boil for 5 minutes. Remove pan from heat and add in white chocolate chips, marshmallows, walnuts and maple flavoring. Pour into lined pan. Top with remaining walnuts and gently press into fudge. Refrigerate about 1 hour or allow to set up at room temperature. Lift parchment paper to remove fudge from pan. Cut into squares. This recipe didn’t work for me at all! I better stick to those using a candy thermometer maybe. Kristi, I am curious, what is the elevation you live at? I have changed the recipe to include a temperature to cook the fudge to. I’m at about 5300 feet. I appreciate the temperature add and will try it again with that. I made my first successful divinity this year using the correct temp for my altitude so I bet that’s a huge part of it. Thanks! This didn’t work for me, either. It tasted good, looked good, but was not at all set up. Very soft and squishy. I heated it to well above the right temperature. I am at 846′ elevation.